January 30, 2012 by fmgarchitects. 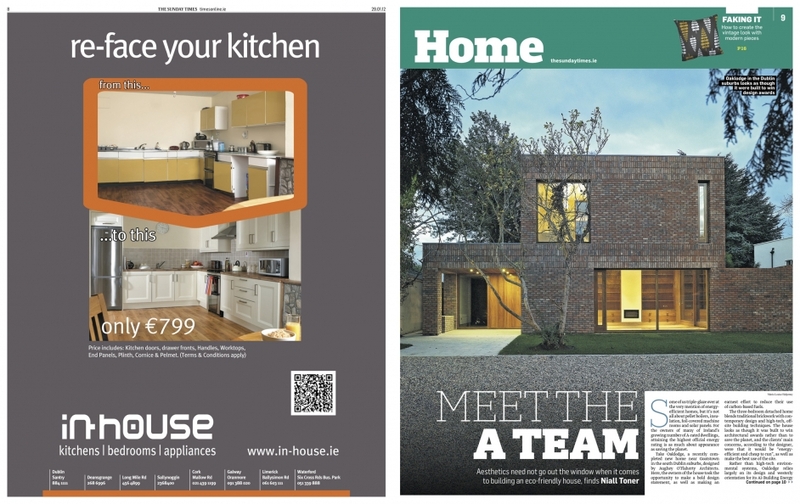 This Sunday Times article looked at several A rated energy efficient houses which also achieved a high level of aesthetics and quality appearance. 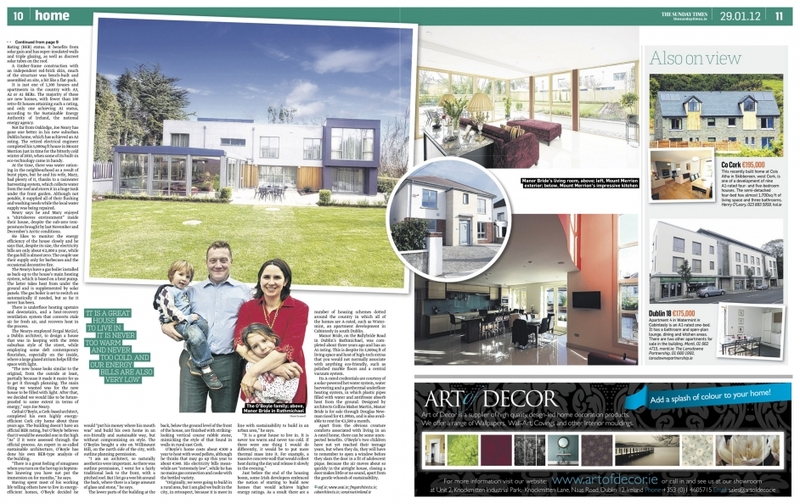 Our own Mount Merrion project featured in the article.